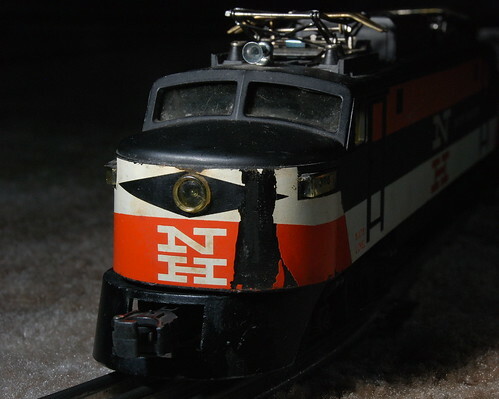 A look at my dad’s Lionel O27 layout. 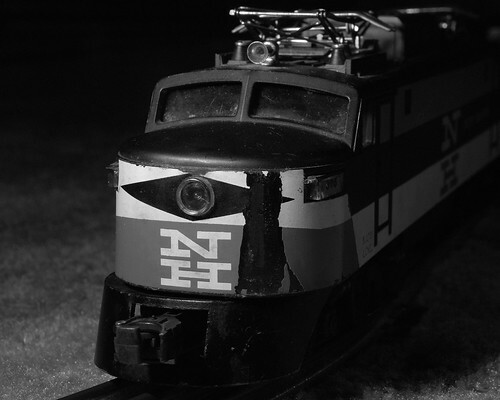 Dad’s vintage O gauge model trains have been a part of our family’s Christmas for decades, run on tracks mounted on a detailed platform complete with tiny houses, cars and animals, blinking lights activated by the passing train cars, and more. It’s a trip back to your childhood! This was taken a while back in August during my vacation to Florida. Here we will see some of my dad’s MTH train layout. 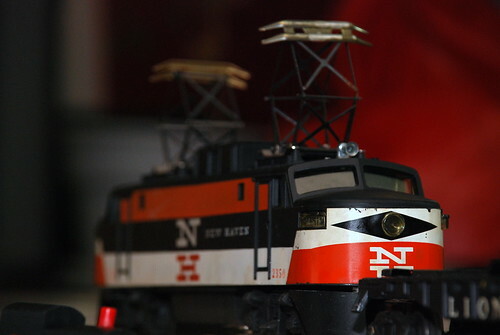 My dad has a NJ Transit ALP-44 with 4 comet 2 coaches, one Acela Express, an Amtrak AEM-7 and HHP-8 with amfleet cars. My layout will not be up for a while because I have a lot of building to do and I am back in school. Anyway as of now this is my dad’s layout. I know it is basic right now but soon it will be moved and expanded. Right now I also have a NJ Transit ALP-44 and 5 comet 2 coaches. I also have 2 NYC Subway trains, a Conrail freight, and an Amtrak Genesis diesel with Superliners. Here we will see the trains run around and making station stops. Enjoy! Thumbs Up, Comment, and Subscribe!